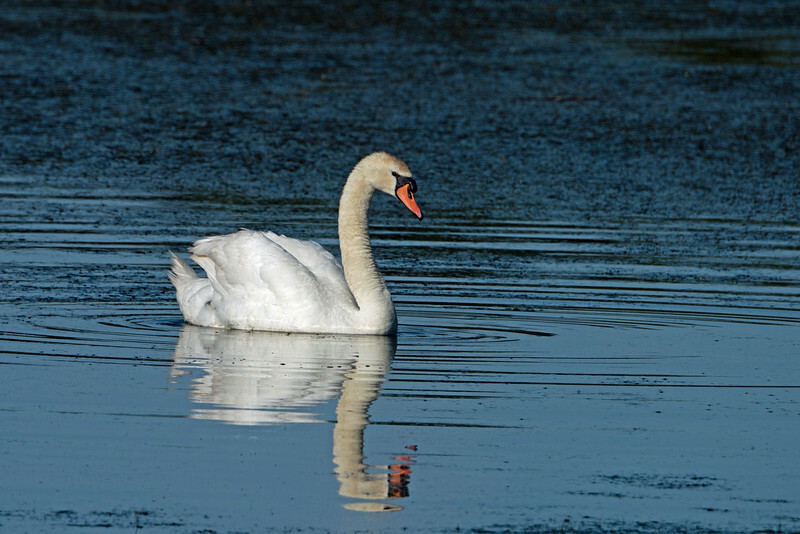 Many swans now call the ponds home, much to the chagrin of all the birders who frequent the area. Janice and I didn't know about the animosity towards swans until this morning when I made the mistake of asking a birder if she'd seen any cygnets. "I hope not!" she said. "They're an invasive species and we hate them." Hard to believe anyone could hate something as beautiful as a swan.